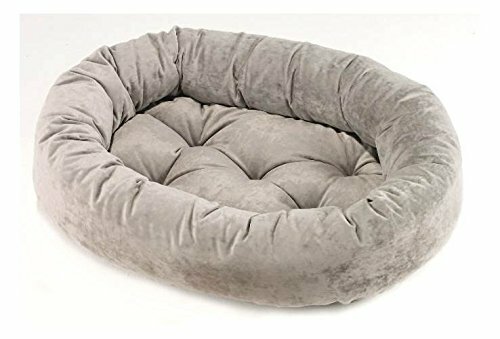 This microvelvet dog bed gives pooped dogs a heavenly place to lay their heads! Your dog will love the security of the outer ring, while the removable bottom conveniently doubles as a travel mat or crate pad. Liberally stuffed with 'high memory' polyester fiberfill. To machine-wash, simply unzip the outer cover. The bottom cushion may be washed as is, since special tufting prevents fibers from shifting or clumping. Our team of in-house designers ensure our beds reflect the latest trends in home decor. Our original, stylish and practical designs have become the gold standard in the industry. Bowsers beds are manufactured in Canada, allowing us to maintain a superior standard for quality and workmanship. Our beds are designed with zippered covers for easy care. We use only the highest quality materials, such as YKK zippers used in the luggage industry, high memory virgin polyester fiber and Eco-Tex Certified upholstery grade fabrics. Inner Cushion: machine wash and dry as is on cool setting. Tufting prevents fiber from shifting or clumping. Outer Cover: Unzip cover and remove bolster. Rezip cover and wash on cool setting. Hand wash inner bolster only. 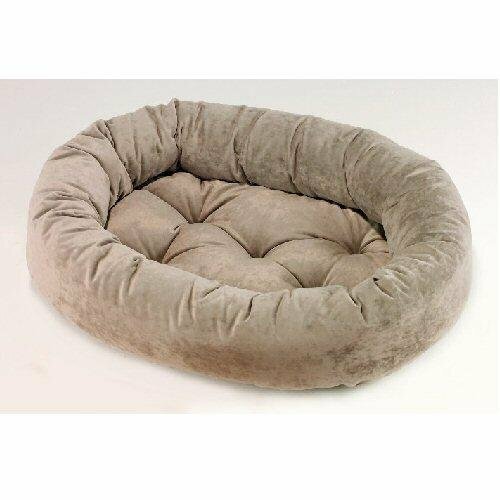 Compare prices on Granite Donut Dog Bed at Shopsimal.com – use promo codes and coupons for best offers and deals. We work hard to get you amazing deals and collect all avail hot offers online and represent it in one place for the customers. Now our visitors can leverage benefits of big brands and heavy discounts available for that day and for famous brands.